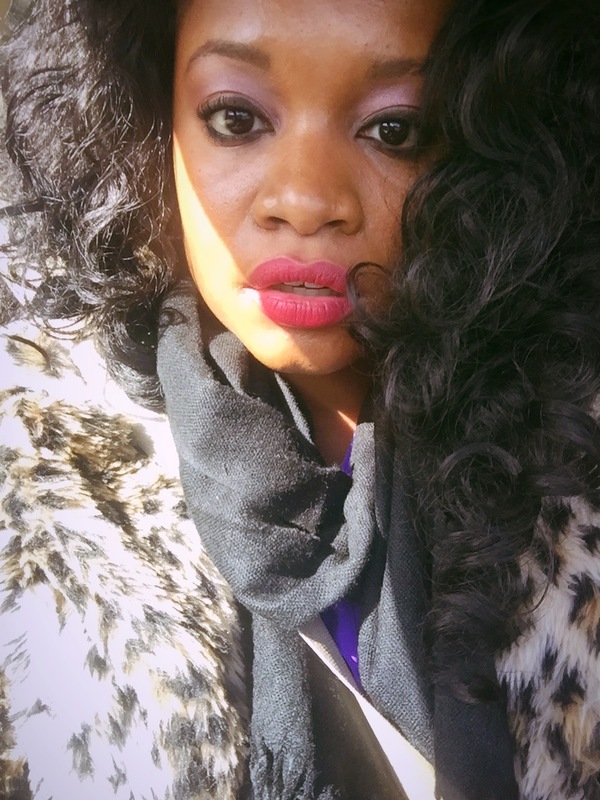 It was so cold that I wore my favorite leopard print faux fur coat. 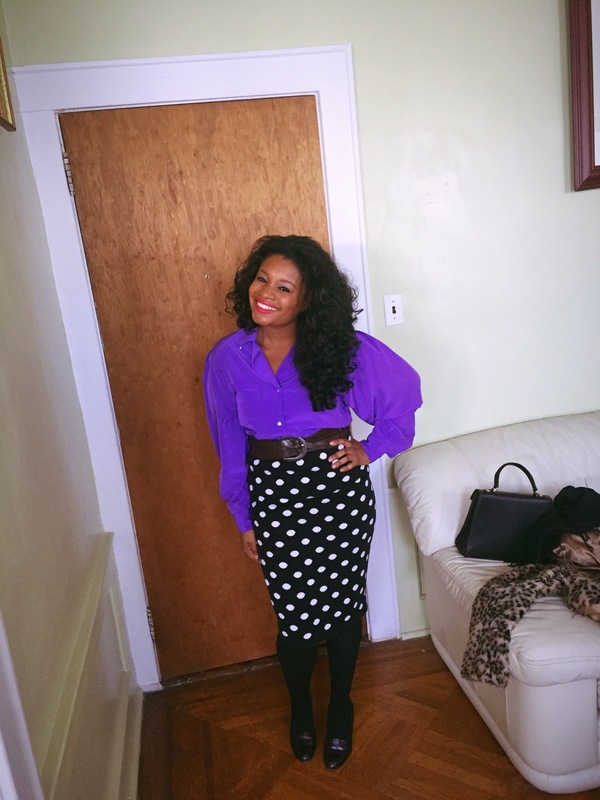 My outfit of the day was a purple polyester shirt from my mother’s closet, a polka dot skirt with a bold brown belt. 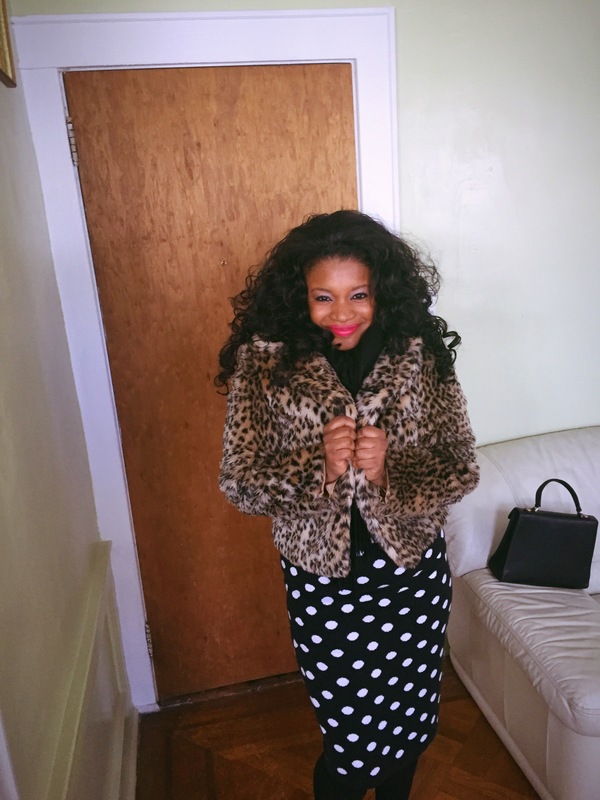 I wear this leopard print coat every year…I don’t have the heart to let it go. 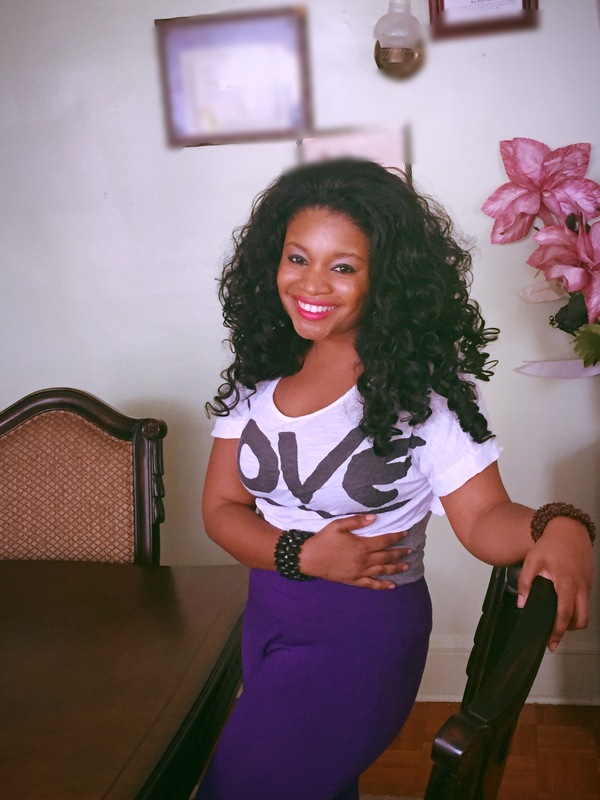 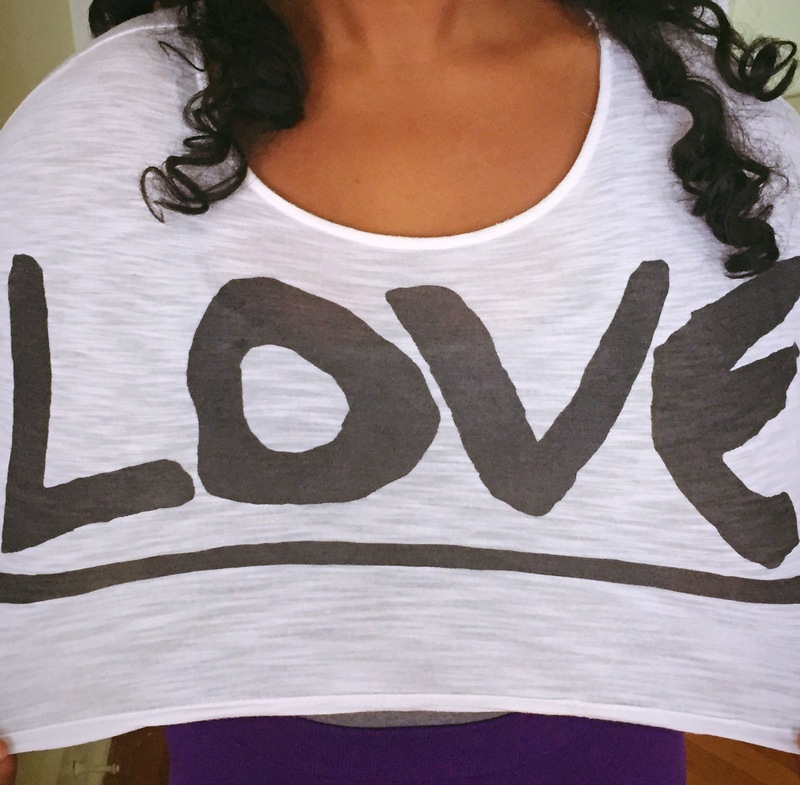 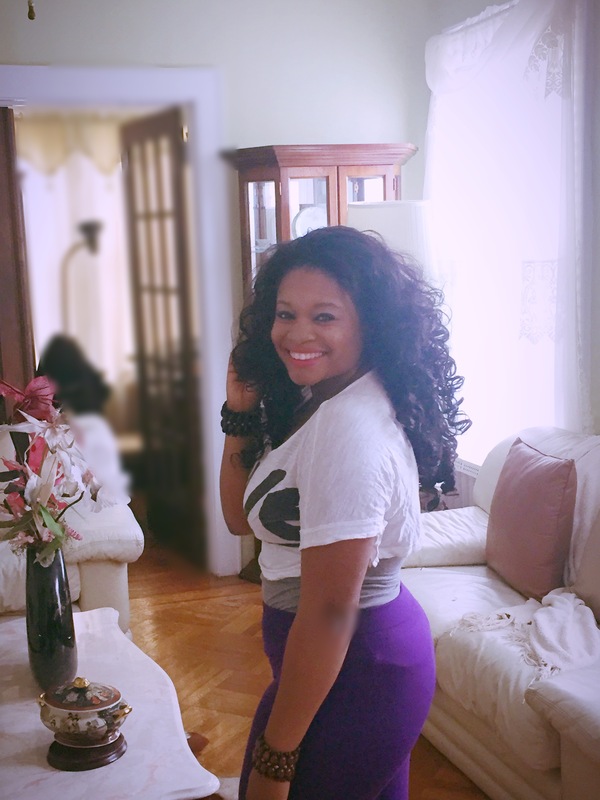 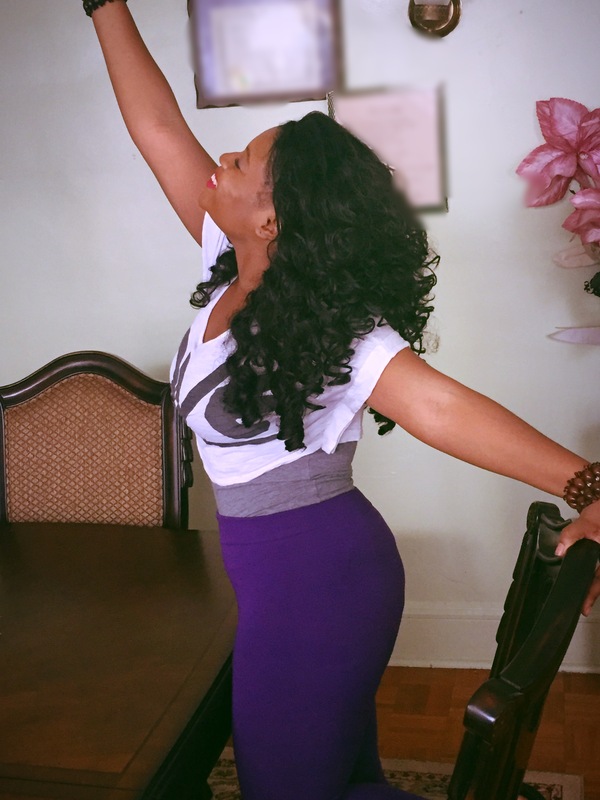 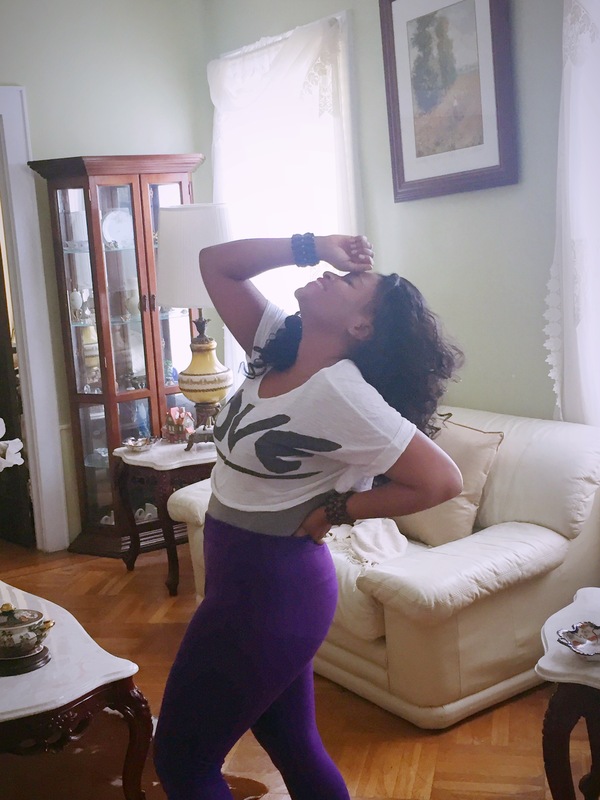 After church,I slipped into my comfortable purple leggings and “LOVE” crop top.